This diagram illustrates the services which are provided over the life-cycle of the investment as it flows through Phases 1, 2, and 3. 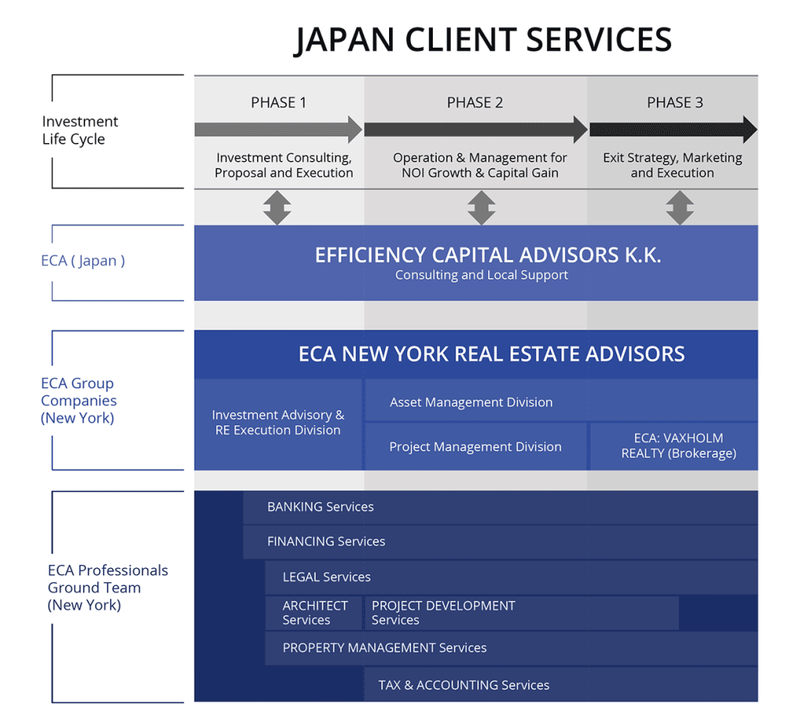 Underneath each of the Investment Phases 1, 2, and 3, the diagram shows the organization and the team members in Japan and New York which support that phase. The key point is that our Japan Office is there to support you from the beginning of the investment to the end, and that our local New York ground team is both broad and deep in experience, capable of providing the necessary services to manage the investment for our clients over its full life-cycle.